Bhaktraja Bheekhajana was a very popular saint of the 16th century especially in Rajasthan and northwestern parts of India. A popular legend of Sant Bhaktraja Bheekhajana is associated with the Laxmi Narayan Temple in Jaipur. 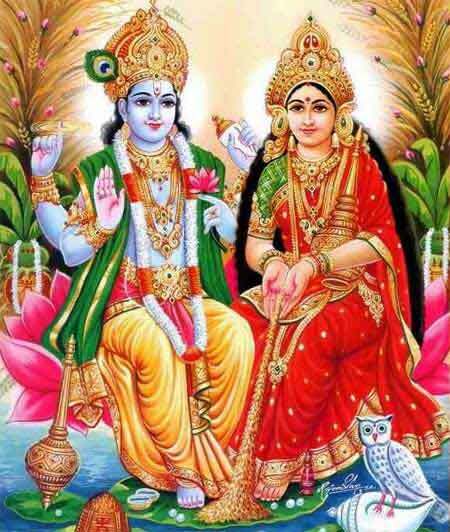 Laxmi Narayan is a form of Hindu God Vishnu. It is said that the Saint was once denied entry into the Lakshmi Narayan Temple. Bhaktraja Bheekhajana went to the back side of the temple and started fasting and he also told those gathered that Bhagwan Lakshmi Narayan will appear before him. The fast continued for several days. Bhaktraja Bheekhajana sat meditating on Bhagwan Lakshmi Narayan. Then one day the walls of the temple fell down and the murti of Bhagavan Lakshmi Narayan Temple moved to where Bhaktraja Bheekhajana was sitting and gave him darshan. Reference about this incident can be still found on the walls of the Lakshmi Narayan Temple in Jaipur. The popular Bhakti song of Bheekhabhawani in Rajasthan is credited to Bhaktraja Bheekhajana.